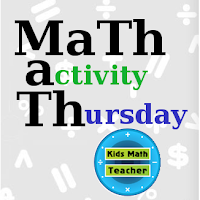 Kids Math Teacher: Update to MaTh activity Thursday. Making it easier for you to link up! Update to MaTh activity Thursday. Making it easier for you to link up! I decided since nobody has linked with MaTh activity Thursday as it currently runs, I will change the format. Here's the new way MaTh activity Thursday will go. Anyone can link up a post where they have shown a math activity. You don't need to copy the MaTh activity Thursday image to the post unless you want to. There will not be a theme, other than being math related. 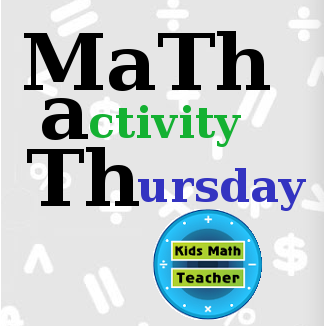 So, if you have a math post that you want more people to see, link up with MaTh activity Thursday each week! Plus, don't forget to add you blog to the Teacher Blog Directory on the tab under the header. Don't get discouraged! This is a super crazy time of year for most people. I haven't blogged much in the past few weeks at all because it has just been so crazy at school. Keep doing it and people will start linking up! I just found you too! Sounds great! I will try to stay organized and link with you as well. I'm looking forward to lots of good ideas.